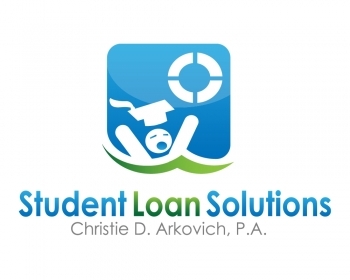 Uncategorized Category Archives — Page 2 of 11 — Reboot Your Life: Tampa Student Loan and Bankruptcy Attorney Blog Published by Tampa, Florida Bankruptcy Attorney — Christie D. Arkovich, P.A. I heard from a client today who attended one of our student loan seminars recently. Many of her colleagues in the military recently submitted their PSLF applications and are now starting to get back denials. Despite completing the ten years of payments while working full time for Uncle Sam, PSLF relief is being denied due to what amounts to loopholes. The most common reasons are they have the wrong loan types or wrong payment plans. So as I thought, many people still don’t know they have a problem! I cannot THANK YOU both enough for all the help and guidance getting my loans back on track for future forgiveness. It’s a huge weight lifted knowing that now I have an end date to look forward to!! 🙂 I will absolutely write a review for you and have been talking you up to my fellow vets in the same position as me. Quite a few of them recently tried to submit for loan forgiveness after 10 years of public service only to realize the same thing I did after your talk, Christie – that they did not have the correct loan type to do so. I hope they reach out and utilize your expertise. Arkovich to Speak at Tampa Bay Bankruptcy Bar Assoc meeting Oct 2 – Tues lunch – Please come! I’ve been invited by the Tampa Bay Bankruptcy Bar Association to speak about student loan debt and what can be done – both inside and outside of bankruptcy. This is for the Consumer luncheon on the fifth floor of the federal courthouse if any local attorneys are interested in attending. You don’t have to pre-register, it’s free and there’s pizza! I’ve got lots to cover, some new things going on and the results are fantastic! Just check out our reviews and what our clients are saying! This graph above should show why we have a problem with student loan debt – its tremendous growth even since the recession in ’08 is crazy. 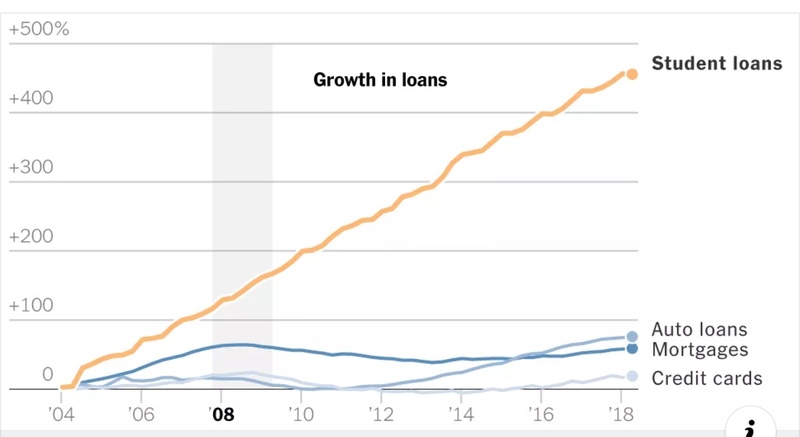 Also, notice in the graph below, while our mortgage delinquencies are back to the lowest they’ve ever been, student loan delinquencies are the highest they’ve ever been — and more than credit cards, auto and mortgage debt. 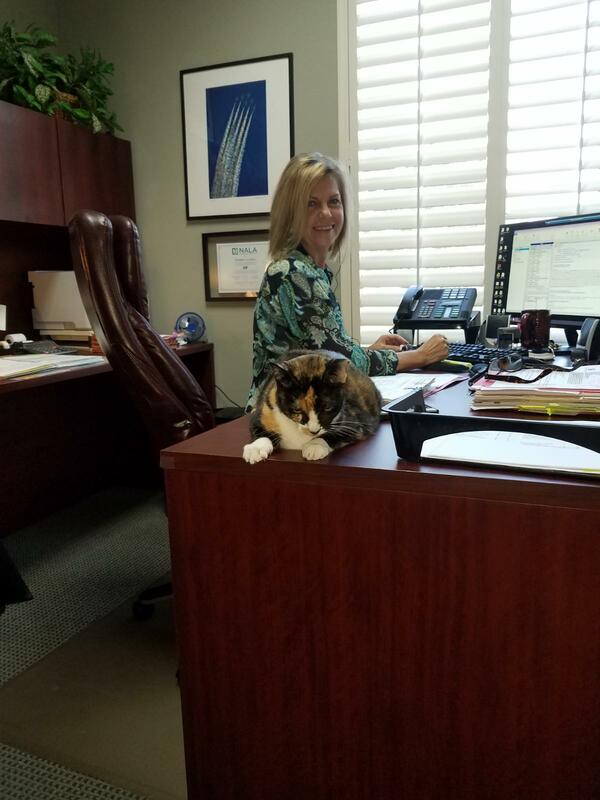 Our associate attorney, Barbara Leon’s anniversary was today and she had the day off. 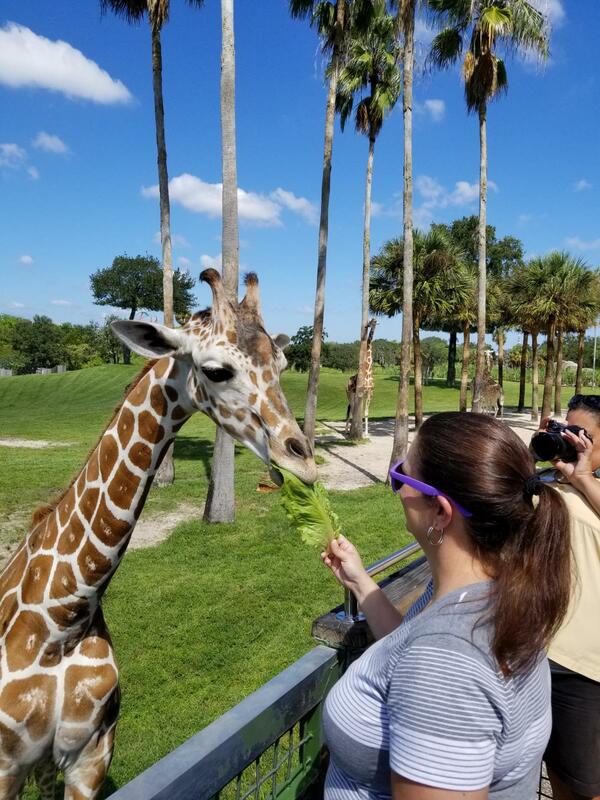 What did she choose to do: Feed a giraffe. Pretty cool. A baby too. 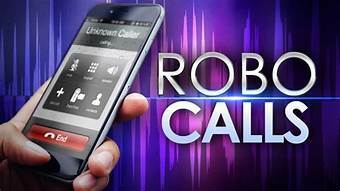 Robocalling case law has been rapidly evolving over the past few months. The latest case out of Tampa’s Middle District, is the case of MELANIE GLASSER, individually & on behalf of all others similarly situated Plaintiff, v. HILTON GRAND VACATIONS COMPANY, LLC. Defendant., No. 8:16-CV-952-JDW-AAS, 2018 WL 4565751, at *5 (M.D. Fla. Sept. 24, 2018) (Judge Whittemore) (holding at summary judgment that defendant’s dialer is not an ATDS and discussing a dialer that automatically enters the number but requires a clicker agents to push the “make call button” to control the pace of the calls doesn’t alter that the clicker agent’s actions were “integral to initiating outbound calls” … “accordingly, it matters not that the computer actually dials the number forwarded to it by the clicking agent. Rather, the focus is on the agent’s human intervention in initiating the calling process.”). Despite this case initially looking bad for consumers, there was some good language in the case – its just that the evidence wasn’t presented in this case for the telephone system to fall under the definition of an autodialer. How Would You Like to Settle Your Private Student Loans for 30%? And Payable with a Reasonable Payment Plan? Without Further Interest? When you contact your private student loan company, you likely will be told the only options are: 1) a payment amount that is much higher than you can afford, or 2) to make an interest only payment which makes no dent whatsoever on the loan balance. Stop that. Read below. Then call us. My daughter and I contacted Christie last December regarding loans that I had cosigned for. Navient was unwilling to offer an affordable payment. They offered an interest only payment, and late payments were killing our credit. With Christies guidance we did exactly what she suggested and we were able to reach a settlement for around 30% with an affordable monthly payment. Many consumers aren’t aware that when they sign up for a service, or buy a product, that they are agreeing that in the event of a dispute that the parties will be referred to arbitration. These clauses often waive the consumer’s right to go to court, present their case before a jury or file a class action. Most consumers have no idea that this is part of the contract. To add insult to injury, often the creditor retained the right to file its own collection case in small claims or county court. How is this legal you may ask? 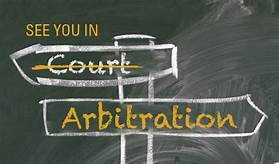 Well that topic is for another day, most courts will uphold an arbitration clause. However, there are ways around an arbitration clause by arguing that the clause doesn’t apply. This would be in the event that the plaintiff bringing a lawsuit is not actually a signatory to the lease or contract. We’re looking to hire a full time legal assistant if any of my legal friends know of someone who is looking. Helping people reduce their student loan debt is a very rewarding position for the right person who has great follow through and is a self starter who likes to work with little supervision (once trained of course :). Competitive salary and 401k. We have a small office to rent in South Tampa – five minutes from downtown. Beautiful Mediterranean building (I had to google to actually spell that – lol!). Looking to rent to a solo attorney for around $450 -$500 depending upon services needed. Full service office with conference room and receptionist. Email me at christie@christiearkovich.com if interested. Address is 1520 W. Cleveland St., Tampa, FL 33606. Can an Independent Contractor’s Income be Garnished? It’s more difficult for a creditor, including the government for federal student loans, to garnish income from someone who is self-employed — but it can be done. Once the creditor is aware that someone is self-employed, they can have a second order entered to go after non-earnings paid to the debtor. If a debtor runs his or her income through their own LLC, this can always be worked around with a second order directed toward the LLC, and then a regular wage garnishment if they are an employee, or a non-earnings order if they are an independent contractor. The good news for someone faced with this, is that it will take time for the creditor to figure out how to reach this income – this is time that a settlement can be reached with a private creditor or a federal loan can be rehabbed to cure any default. Bankruptcy should also be considered. The bad news is if you continue to ignore it, the garnishment once it finally goes through is not limited to 15-25% of your wages, but now they can take 100%. 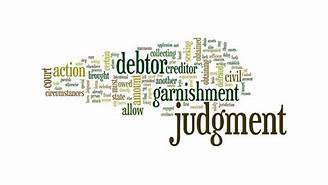 So like many things legal, ignore a garnishment order at your own peril – even if you are self-employed.